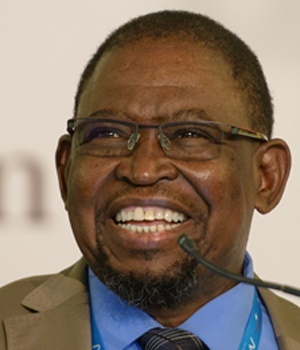 This is according to Enoch Godongwana, chair of the ANC’s economic transformation committee, who was briefing the media on the outcomes of the economic commission, held on the final day of the ANC’s 54th National Conference. Godongwana labelled it a “contentious issue” and said that the resolution has a condition that it be enforced sustainably. “The final conclusion that we agreed the national executive committee will initiate some amendments in the constitution’s section 25 to achieve expropriation without compensation. “For that to happen it must be sustainable,” said Godongwana. This means it must not impact on agricultural production, food security and other sectors of the economy. He said that even those who want land expropriation without compensation agreed that it should be achieved sustainably. “It should not impact finance sector and other sectors negatively,” said Godongwana. “There is generally anger across the board about land, no one who lives in South Africa can deny that fact. The pace of land redistribution and the pace of land restitution and all these things taken together propel and fuel this anger within communities, he explained. Godongwana said that no timelines have been put in place for implementation, or the amendment of the Constitution. Earlier on Wednesday minister in the Presidency Jeff Radebe said the land reform issue is to be resolved urgently if South Africa is to have peace.